If you’re a small or medium-sized business (SME) owner there are a few taxes that you should know about in order to stay on top of what you owe. Though not all of the below taxes will apply to your current tax situation, it’s helpful to be aware of all that may show up during the lifespan of your business to make sure you’re not taken by surprise. If you’re not yet working with an accountant you should consider hiring one immediately, as they can keep you up to date with your tax liabilities to ensure you’re always paying what you owe, when you owe it. 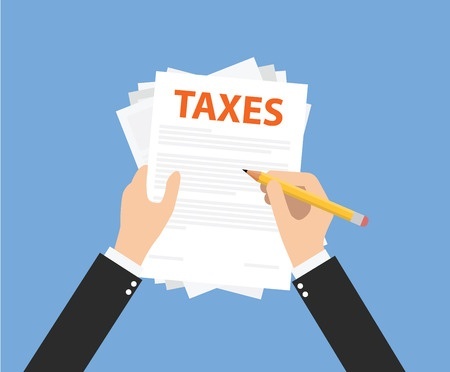 If you run your business as a sole trader the most important (and expensive) tax you should be aware of is income tax, which you’ll have to pay on your small business’s profits in the same way that an employed person pays income tax on their monthly earnings. You pay income tax on your business’s profits over the personal allowance, which is currently set at £10,600 per year (2015-16) for those under seventy-five. If you run your business as a limited company you’ll be required to pay income tax on any salary or dividends you receive from your company over £10,600; including income from any other job or dividends from a second company. National Insurance Contributions (NICs) are paid by SME owners and employed people alike, though the method of payment is different for those running their own business. If you run your business as a sole trader you’re required to pay two different kinds of National Insurance; Class 2 and Class 4. The former is a flat weekly rate of £2.80, unless your business’s profits are under the newly-introduced Small Profits Threshold of £5,965 per year, in which case you’ll be exempt from Class 2 National Insurance. If your small business’s profits are £8,060 or more per year you’ll also be required to pay Class 4 National Insurance, which is set at 9 percent of your business’s profits up to £42,385, and just 2 percent thereafter (2015-16). From April 2016 Class 2 and Class 4 National Insurance Contributions are to be combined. If you run your business as a limited company and you receive a salary of £8,060 or more per year then your business will have to pay Class 1 National Insurance on your salary. If you run your business as a limited company you’ll have to pay Corporation Tax on all profits immediately, so long as you business hasn’t previously made a loss under which Corporation Tax can temporarily be offset against. Corporation Tax is currently set at 20 percent (2015-16). It must be paid nine months and a day after the end of your business’s accounting period; this being something your accountant will make you aware of to maximise your cash flow. Value Added Tax (VAT) is payable by businesses operating as sole traders, partnerships, or limited companies if you make sales that should have VAT charged on them (known as the VAT taxable turnover) of more than £82,000 per year. If you believe you’ll have a VAT taxable turnover of more than £82,000 in the next twelve months you or your accountant should register your business for VAT as soon as possible, to ensure any necessary payments can go through on time. VAT is charged at three rates; 20 percent (standard), 5 percent (reduced), and 0 percent (zero rate). To speak with a professional accountant to discuss the taxes you’re likely to come up against as an SME owner (including business rates, not discussed here) contact us today on 020 8780 2349 or get in touch with us via our contact page to arrange a complimentary, no obligation meeting. For a wealth of information on most accountancy related issues, feel free to have a read of our blog too.